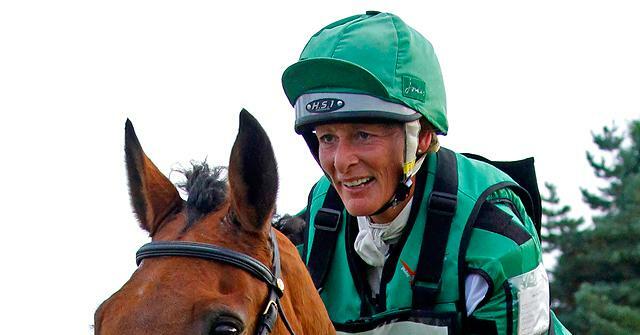 Join World Equestrian Games gold medallist, Mary King MBE for an evening of insights into her amazing career along with sumptuous River Cottage food. Based in Devon, Mary has had a glittering career, winning six team World and European Championship golds; four British open titles and has represented Great Britain at six Olympics. The evening will take us through Mary's highs and lows, as well as providing you with the opportunity to ask all your burning questions. Mary will dine alongside you in the intimate setting of the River Cottage threshing barn. You will enjoy a delicious seasonal three course meal cooked up by our chefs before your eyes are opened to the world of professional equestrianism for an informative and entertaining evening. For attendees at the dinner, there is the opportunity to visit Mary's yard (approx.10 miles from River Cottage HQ) the following day, Friday 22 February. For an additional £25.00pp you can enjoy a yard tour, meet the horses and watch Mary schooling over jumps. £25pp to include coffee/tea and homemade biscuits. You will be met by members of the River Cottage team at 6.00pm before getting on the tractor and trailer for the journey down to River Cottage HQ. Your host for the evening will greet you with a seasonal welcome drink and canapés will be served. A three course menu will be offered using the very best local and seasonal ingredients. We do of course cater for any dietary requirements and you will be prompted to give us these when booking. Mary King will take us through her highs and lows, as well as providing you with the opportunity to ask all your burning questions. The evening will draw to a close around 11pm. The tractor will be available to take you back to the car park when you are ready.